On Thursday 28 September 2017, the Club of the Mediators of services to the Public (CMSP) organized its first mediation workshop. The Club, whose mission for over fifteen years has been to develop quality mediation and an alternative dispute resolution process that is an acknowledged frame of reference, has since its formation regularly organized briefing meetings, idea-exchanging meetings and conferences… this time it was testing a new format. The theme of the workshop was: “Expectations with regard to consumption mediation”. Nearly 2 years after introduction of the legal and institutional framework for consumption mediation, it seemed a good idea to allow the parties concerned, representative of consumers or companies, corporate lawyers and mediators, to express their remaining expectations in the light of actual outcomes. The workshop included an “interventions” part, punctuated by debates with the audience. Jean-Pierre Teyssier, Chairman of the Public Service Mediators’ Club. They each presented an initial assessment of the operation of consumption mediation for nearly 2 years. 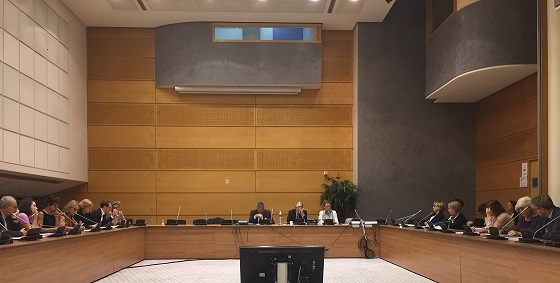 The CECMC is still much solicited by applications for approval, and continues to examine a number of cases, more particularly as a result of France’s transposition of the ADR directive, which also makes provision for non-sectoral, company-specific mediators. This has led to an increase in their number; the CECMC also has a duty to audit mediators, and this process is gradually being put in place, in parallel to the granting of approvals. Due observance of the mediator’s obligation to inform must also be audited by the referrer company. It is stated that this process is recent for certain companies, so they should be given time to implement the regulations effectively, starting for instance by a reminder of the law before imposing the fines provided for by the texts. Furthermore, the associations state that certain companies are in breach of the regulations (failure to display the name of the approved referrer mediator for instance) through certain referral cases referred on to them: the complaints that qualify for mediation were passed on to the company concerned for processing. The speakers (and the meeting as a whole) then all acknowledged that this system deserved to continue to exist in its present form for a few years yet, to allow everyone to provide sound feedback based on a stable regulatory framework. Subsequently, the texts should be fine-tuned and improved, but there was unanimity with regard to the wish that the lawmaker should not intervene overly quickly to make changes in or amend the law. Lastly, the participants and speakers speculated about extending the scope of consumption mediation. Because firstly, even though the Consumer Code makes no provision for the existence of a residual mediator to cover sectors not yet covered, this prospect deserves to be studied, even for temporary implementation, in particular if certain sectors take too long to organize themselves; and secondly, since the publication of the law on 21st Century Justice, new stakeholders are taking an interest in consumer mediation, without for all that being approved within the current framework of the Consumer Code, and new models of offers, alternatives to consumer mediation, are appearing, such as “arbitration as a tool for alternative dispute resolution for consumers”, without for all that offering consumers the same guarantees of protection and freedom. Unlike mediation this last “arbitration” model applied to consumers does not subsequently allow the claimant to bring legal action, which is contrary to the spirit of the European directive on alternative consumer dispute resolution. The meeting ended on this conclusion, fully in line with the theme of the future workshop: “mediation redressing the balance between the parties (consumer vs company; citizen vs government, etc.)”. for the record: the ENGIE Group’s Mediator is a member of the Committee of the Public Service Mediators’ Club, and chairman of its editorial board (whose main duties include administering Club’s web site).